Keeping in view the urgency of the issue, the Supreme Court today assured that day-to-day hearing will be held on the appeals filed by Tamil Nadu, Karnataka and Kerala against the 2007 award of the Cauvery Water Dispute Tribunal (CWDT) on sharing of water. A bench of Justices Dipak Misra, Amitava Roy and A M Khanwilkar reiterated its October 18, 2016 order and said that it will remain effective till further orders and fixed the pleas on the vexatious dispute for final hearing on February 7. The apex court had on December 9 ruled it had the jurisdiction to hear appeals filed by Karnataka, Tamil Nadu and Kerala against the 2007 award of the Cauvery Water Dispute Tribunal (CWDT) and said it will resume hearing on December 15. 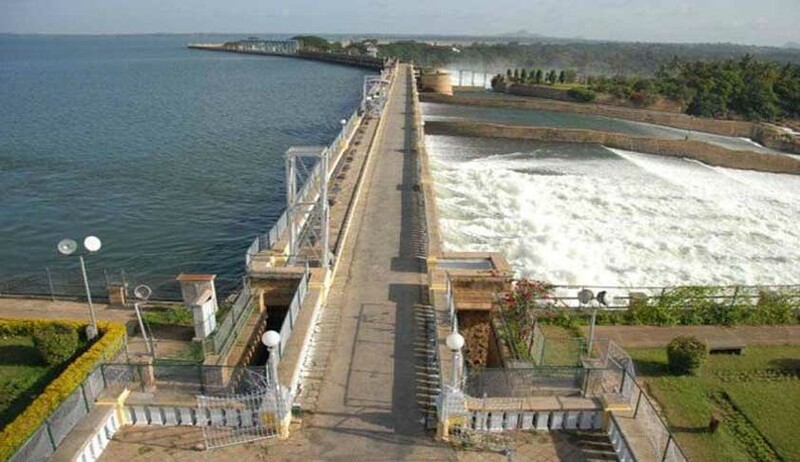 Meanwhile, the court also asked Karnataka to continue to comply with the interim order to release 2000 cusecs of Cauvery water per day to Tamil Nadu.The bench of Justices Dipak Misra, Amitava Roy and A M Khanwilkar had on October 20 reserved its order on maintainability of appeals filed by Karnataka, Tamil Nadu and Kerala against the 2007 award of the Cauvery Water Dispute Tribunal (CWDT). It is to be noted that the Centre, through Attorney General Mukul Rohatgi, had raised a preliminary objection claiming that the CWDT award amounted to a final decree in the dispute and the apex court had no jurisdiction to hear appeals against the award of the tribunal. Continuing its argument, Karnataka today said that appeals filed by the state against the award of the tribunal was maintainable. Noted jurist and senior advocate Fali S Nariman, appearing for Karnataka, had said the Supreme Court had the jurisdiction to adjudicate the appeals filed by the state against the award of tribunal. Senior advocate Shekhar Naphade, appearing for Tamil Nadu, also contended that the appeals were maintainable and no statute can take away the powers of the apex court. “Section 6(2) of Inter-state Water Disputes Act, 1956 cannot oust Supreme Court’s constitutional appellate powers given under Article 136 of the Constitution,” Naphade had said. Similarly, Kerala also supported the stand of Karnataka and said that the appeals were maintainable. However, Puducherry supported the stand of the Centre that the appeals filed by Karnataka, Tamil Nadu and Kerala are not maintainable. Rohatgi kept reiterating his argument that Supreme Court had no jurisdiction to adjudicate the appeals pertaining to the dispute relating to use, distribution and control of inter-state water or river valley. “The appeals filed by the states are not maintainable as per article 131 and 262 of the Constitution and the provisions of Inter-state River Water Disputes Act, 1956,” he had said. The bench was categorical that it would first go into the issue of maintainability of appeals filed by Karnataka, Tamil Nadu and Kerala against the award of tribunal and then hear arguments on the report filed by the Supervisory Committee formed to assess the ground realities in the Cauvery basin region. The apex court-appointed panel had in its recent report suggested doing away with “outdated and unscientific water application techniques” to resolve the wrangle, saying both Karnataka and Tamil Nadu were facing water shortage which had created unemployment and financial hardship for the people. It had said the neighbouring riparian states needed to appreciate interest of Tamil Nadu and Puducherry to protect their established irrigation and Karnataka’s aspirations for development and educate their people accordingly. The panel in its 40-page report had noted that farmers in both states were in severe distress and adequate crop compensation must be provided to them. Supreme Court had on October 4 directed Karnataka to release 2,000 cusecs Cauvery water every day to Tamil Nadu from October 7 to 18 and deferred its order asking the Centre to set up Cauvery Water Management Board (CWMB) till it finally decided on appeals relating to the age-old dispute. It had yesterday directed Karnataka to continue to supply Tamil Nadu with 2,000 cusecs of water till further orders. The apex court had also directed the Centre to establish the CWMB, saying once it was constituted, its team would visit the sites to take a prima facie view of the ground reality and submit a report. On October 1, Karnataka had moved a review petition in the apex court against its three orders on Cauvery water release to Tamil Nadu and direction to the Centre to create the CWMB. In its review petition, Karnataka said “grave miscarriage of justice” has been caused to it pursuant to the three apex court orders of September 20, 27 and 30, by which it was directed to release 6000 cusecs of water till October 6 and the Centre was to constitute the Board by October 4.